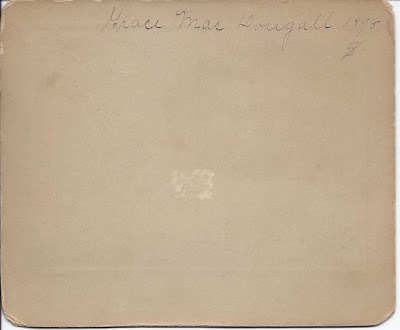 Photograph inscribed Grace MacDougall 1898, taken by the Sanford studio at North Adams, Massachusetts. 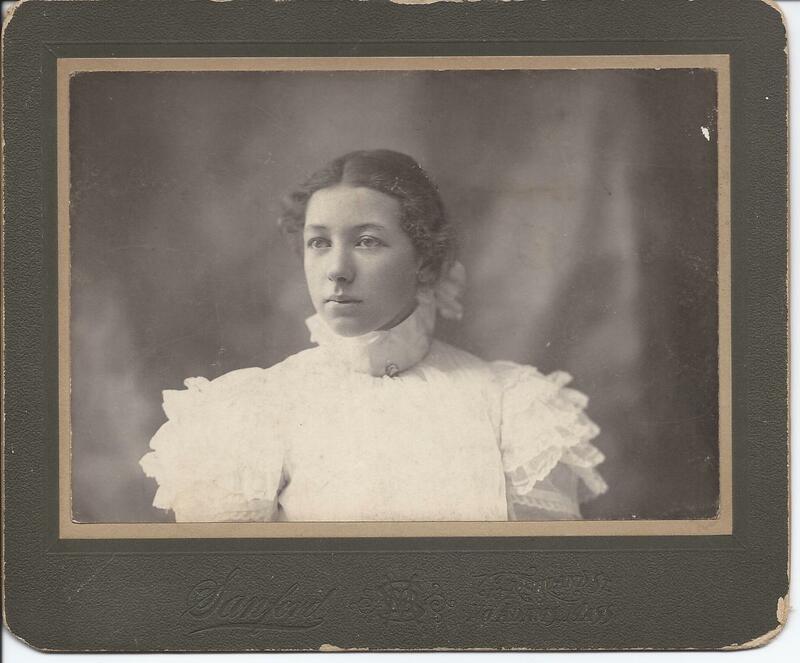 See another 1898 Sanford studio photograph of Katherine A. Moloney. These young women were likely classmates, at high school or at college. I found a McDougall family in the North Adams area, but I don't know if Grace belongs to this family. Her family may have been at North Adams for a time but not during a Census year or year in which they might have left a record easy to find. If you have information or a theory as to Grace's identity, please leave a comment or contact me directly. Thanks!